Last year was all about the smart car at CES and this year is shaping up to be more of the same, without the hype from Faraday Future. Where Faraday Future failed to go anywhere – shutting down the development of a production facility in Las Vegas – BYTON hopes to disrupt the car industry for the better. BYTON is a fully immersive, intuitive, electric smart car. Something that’s been done here or there by car manufacturers big and small the last few years but BYTON is doing it differently – they’re doing it all in one car for an affordable price tag for consumers. 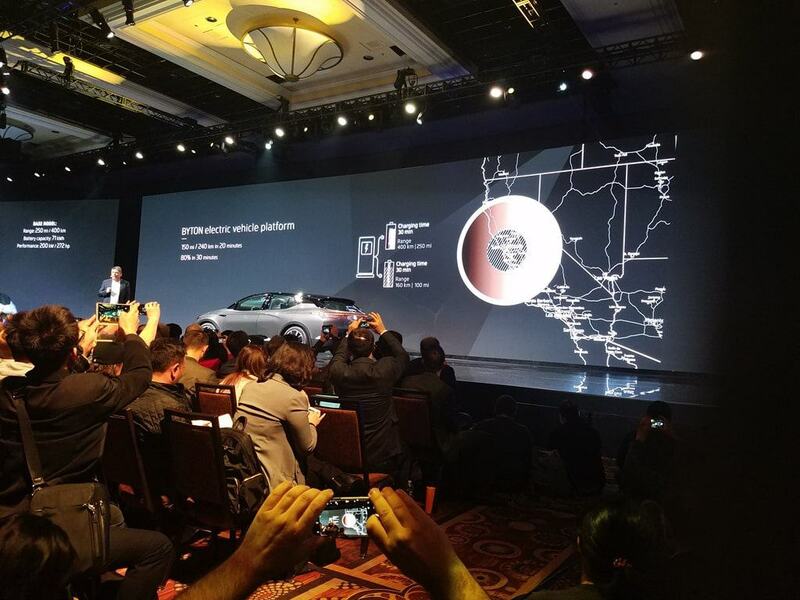 Here’s our recap what you need to know from BYTON’s press conference at CES 2018. BYTON wants to change the way we drive to make it more efficient, cleaner, and smart. They believe that time is a commodity and it should be used wisely. What moments do you miss in your car each day? 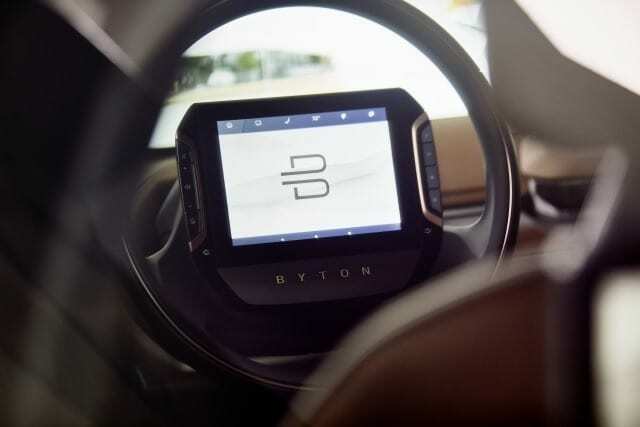 With BYTON, they want you to stay connected to every aspect of your life whether you’re in the car or not. BYTON’s innovation is fueled by executives from Apple and BMW in the driver’s seat. BYTON is an electric smart car, like so much of what you’re seeing from other car manufacturers but so much more. From the outside, BYTON isn’t that flashy and you may not even realize you’re looking at a fully autonomous smart car without peeking inside to get a closer look. Stretching from side to side, the dashboard is an intuitive smart screen showing you everything from where you’re going to what your heart rate is to showcasing video, chat, and much, much more. The steering wheel is even more impressive – the first touchscreen smart steering wheel introduced to the market. BYTON wants to merge the way people leverage technology everyday seamlessly into commutes. Whether traveling with solo or with family or friends, you’re all just a touch or voice activated command away from getting the information you need or the entertainment you desire. The three biggest “wow” moments from BYTON’s press conference came from the side-to-side information screen dashboard, the touchscreen-based steering wheel, and the battery capabilities of the EV car. Byton side to side dashboard. 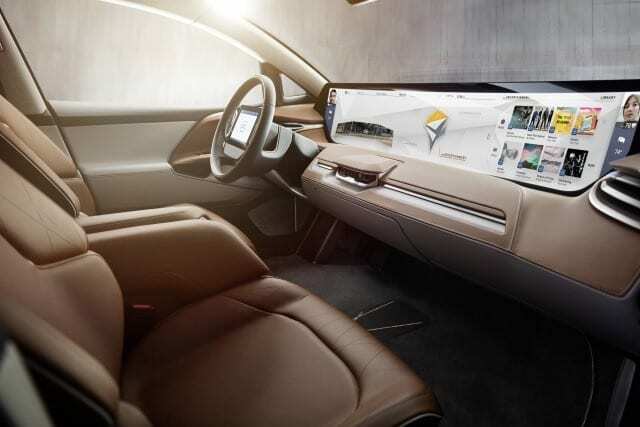 The BYTON shared experience display stretches from side-to-side of the car, giving you information at your fingertips. Watch movies, take calls, check the weather, or get a health check-in right in front of you on your commute. While dashboard functionality won’t be available for the driver in the form of entertainment, passengers can entertain themselves the way they want during a long drive. This dashboard can be controlled via touch, gestures, or voice depending on where you’re positioned in the car. Amazon Alexa will be integrated fully into the car. No word on whether Google Assistant, Bixby, or others will be added in the future. While the passengers may seem to have all the fun in the BYTON concept car, the driver gets to take advantage of the first fully-integrated – and hopefully soon produced – touchscreen steering wheel. Smack in the middle of the steering wheel you’ll find what looks like a tablet. Passengers in the rear of the vehicle also have tablet-based displays to keep entertained or connected. The company boasts that its electric vehicle platform can be charged for up to 150 miles of travel in just 20 minutes. They claim it can charge up to 80% of its total battery in just 30 minutes. That is pretty phenomenal. Charging and Battery Life for this car seems phenomenal. If the BYTON can go that far on that little charge, they just may give Tesla and other electric vehicles on the market a run for their money. Does BYTON Have a Future? BYTON’s already shared more details than Faraday did last year at CES, which is saying something. It seems like the company has a plan for production and distribution with a plant being built as we speak in Nanjing, China. 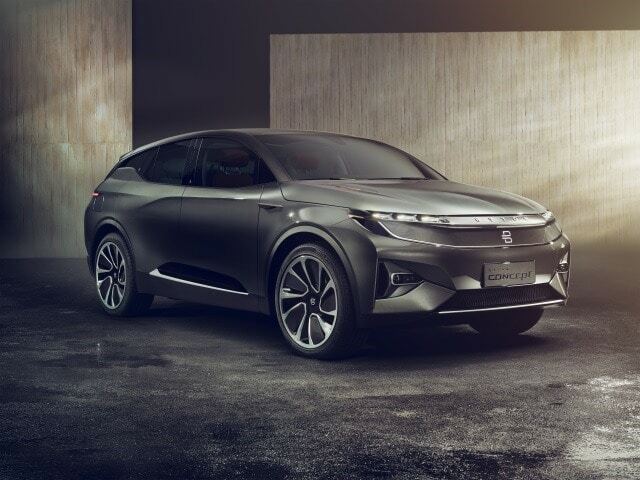 The car is slated to start at $45,000 USD and available in 2020 for the US market, 2019 for the Chinese market. This concept SUV will be the first model to roll out, followed by sedans and other 4-door models. To learn more about BYTON, visit them here.